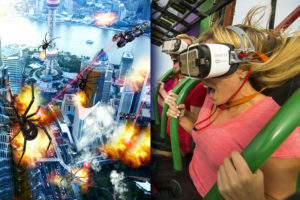 JACKSON, N.J. — April 20, 2017 — Six Flags Great Adventure, in partnership with Samsung Electronics America, Inc., the “Official Technology Partner of Six Flags,” today announced an all-new, extreme virtual reality experience coming to the world’s tallest and fastest drop ride beginning May 5. Thrill-seekers will use Samsung Gear VR powered by Oculus to battle giant, mutant spiders while they plunge 41 stories at speeds up to 90 mph on Drop of Doom VR, a fully-integrated virtual reality (VR) experience on Zumanjaro. For a limited time only, guests can experience the Drop of Doom virtual reality attraction free with paid park admission. 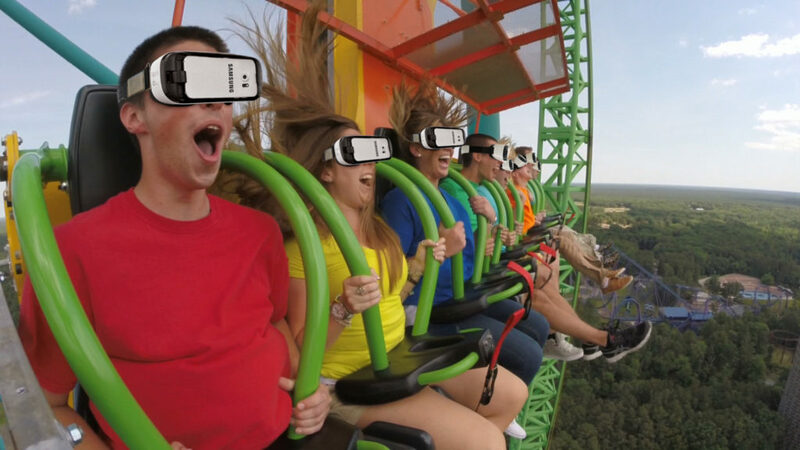 Riders must be at least 48” tall to ride Drop of Doom VR, and at least 13 years old to experience Samsung Gear VR. Riders must be at least 13 years of age to wear Samsung Gear VR. Guests must be at least 48” tall to ride Zumanjaro with a maximum height of 77”. Guests under the age of 13 who meet the height requirement, and day visitors who do not meet the exclusive requirements for this event, can ride Zumanjaro without VR headsets. Six Flags Entertainment Corporation is the world’s largest regional theme park company with $1.3 billion in revenue and 18 parks across the United States, Mexico and Canada. For 56 years, Six Flags has entertained millions of families with world-class coasters, themed rides, thrilling water parks and unique attractions. For more information, visit www.sixflags.com.